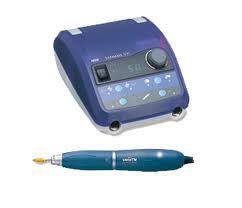 NSK Z 500 is one of the very best laboratory handpieces available. The brushless motor ensures longevity. 8.7 Ncm torque provides the power required for any lab application. 50,000 RPM speed is unmatched for a lab type motor producing this type torque. There are tons of electric lab motors available at lower prices, but none offer better quality than this system. So many options to choose from make the Z 500 an expandable investment in your practice, or lab.